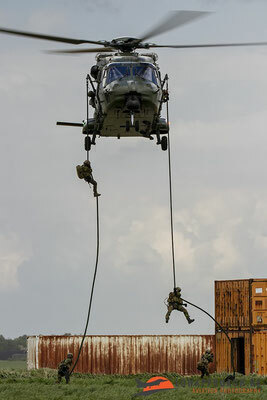 In 2015 a THPU exercise was held at Beauvechain Air Base. THPU stands for Tactical Helicopter Procedures Update and the meaning of such an exercise is for pilots flying helicopters to learn and teach newly created procedures and to synchronize those procedures and tactics with other, national as well as international, helicopter operators. 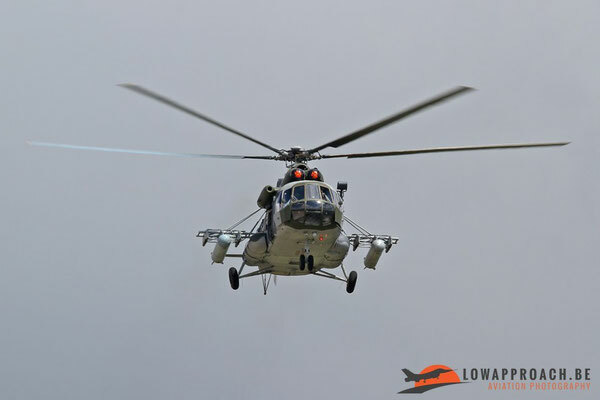 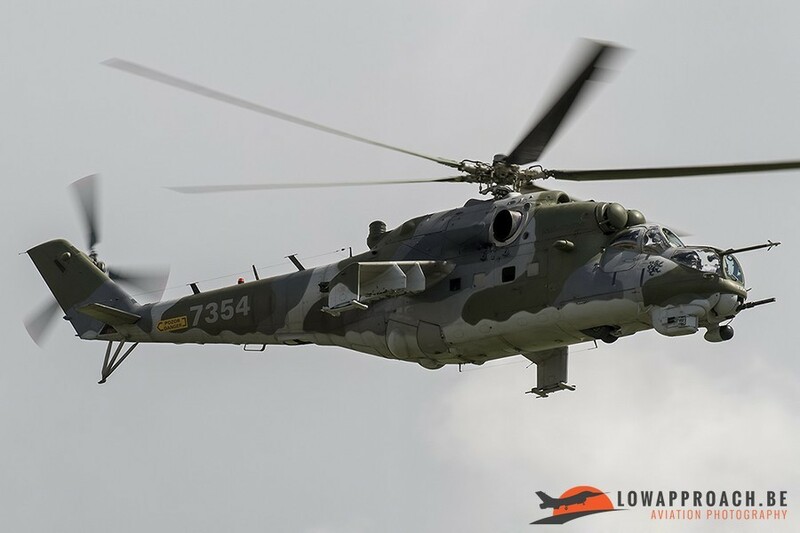 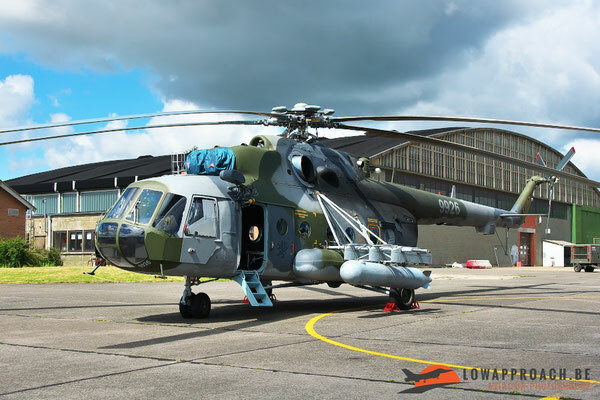 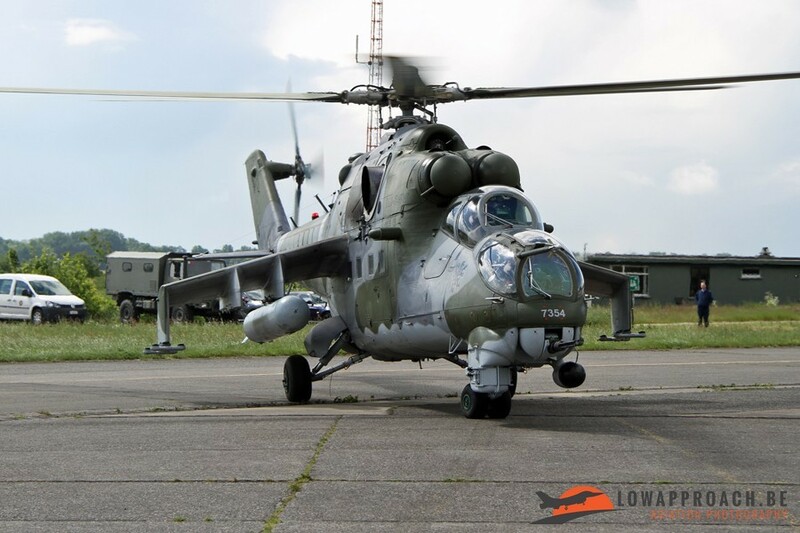 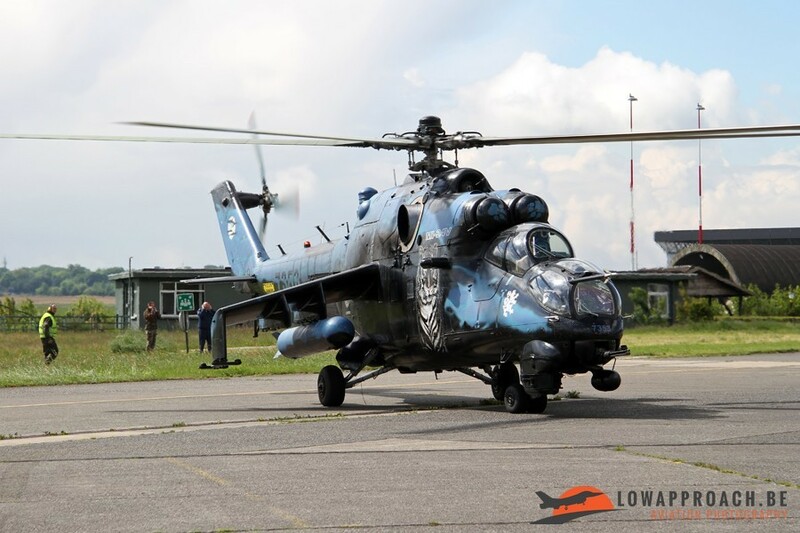 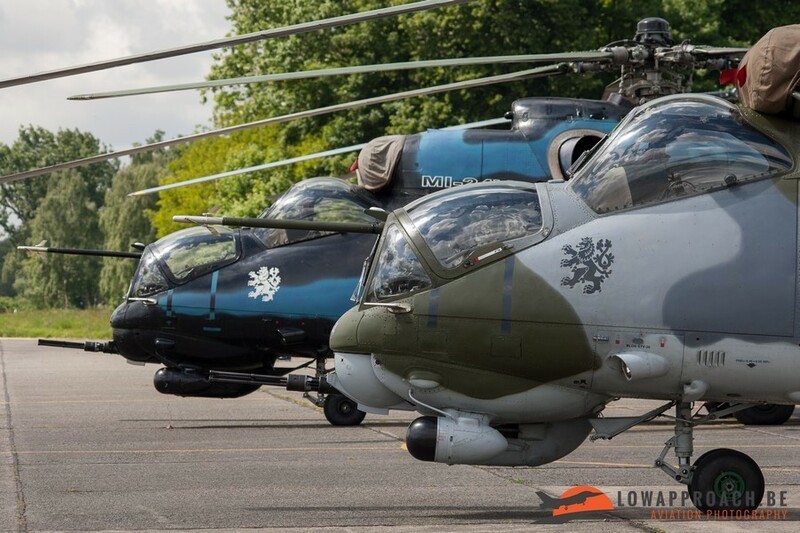 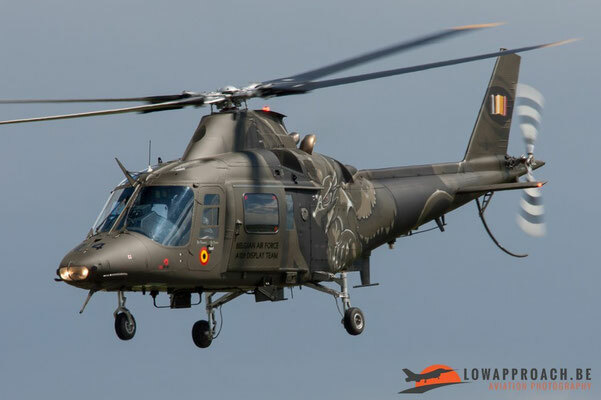 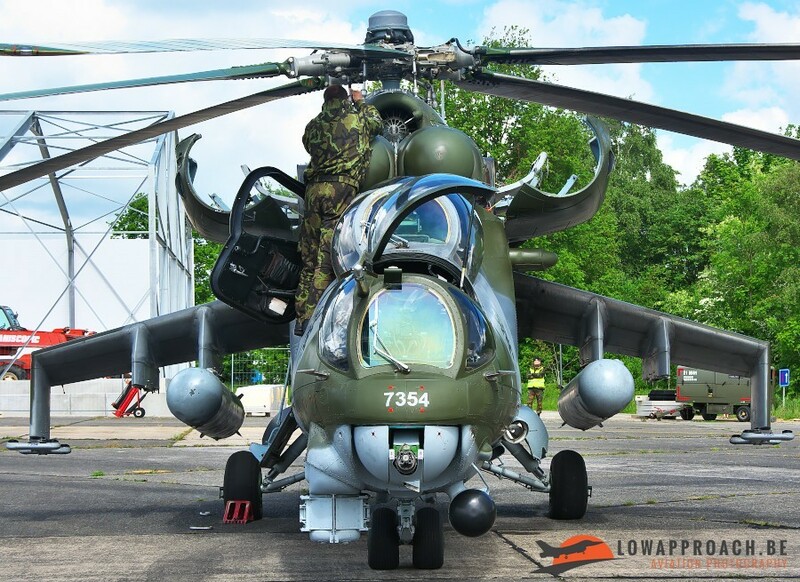 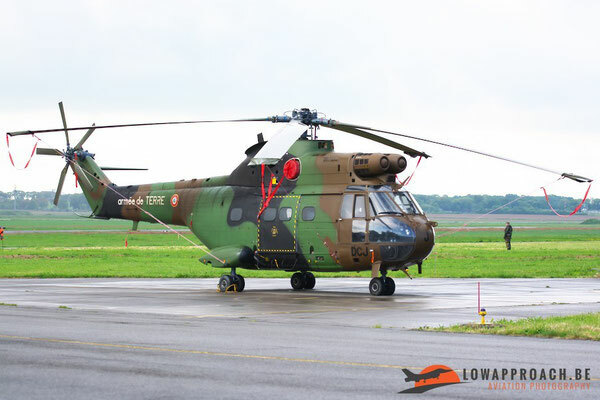 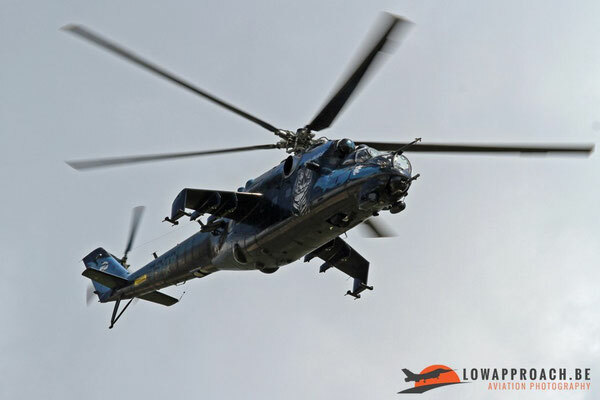 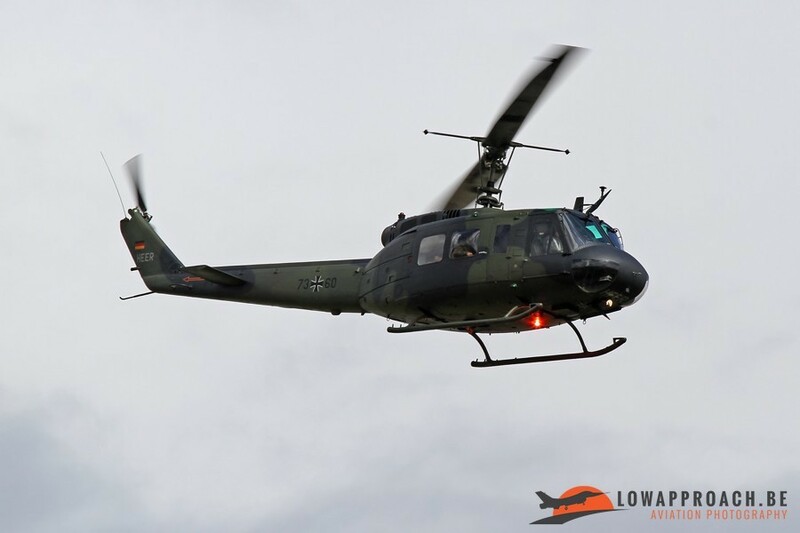 The participating countries for this year’s THPU, besides Belgium, came from Germany with UH-1D’s, France with SA-330B’s and SA-342M’s, the Czech Republic with Mi-24V’s and a Mi-171Sh and the UK. But the UK only came as observers and didn’t had any helicopters with them. 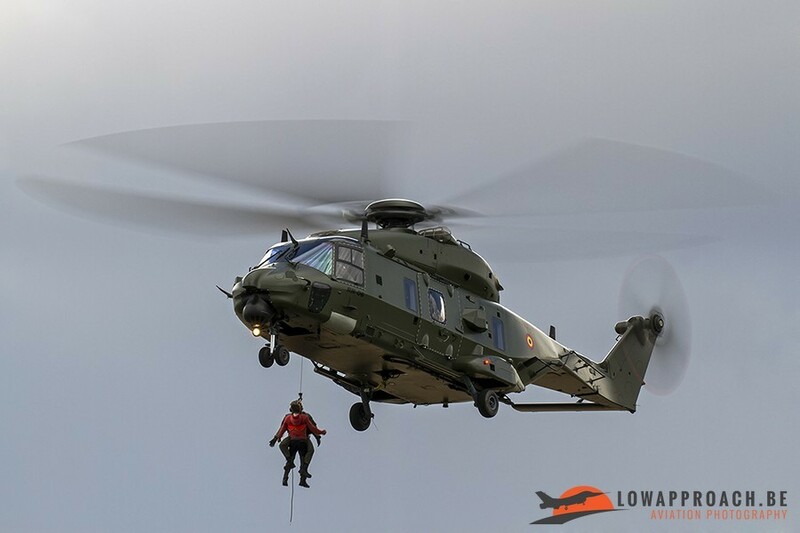 The exercise was held from the 18th till the 21st of May. 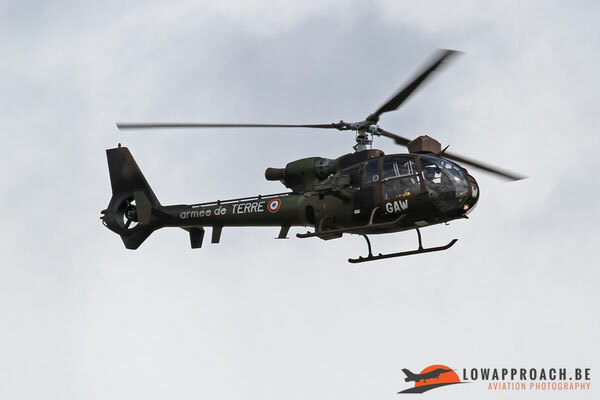 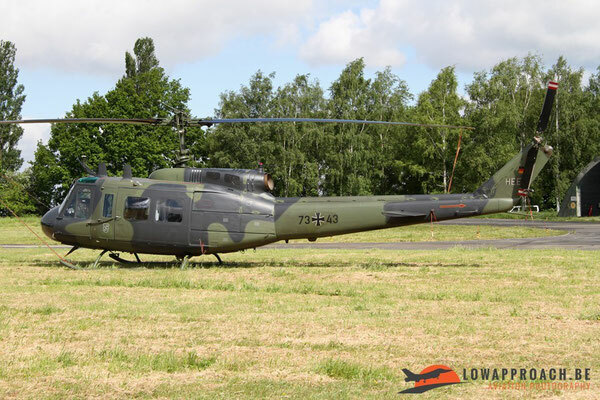 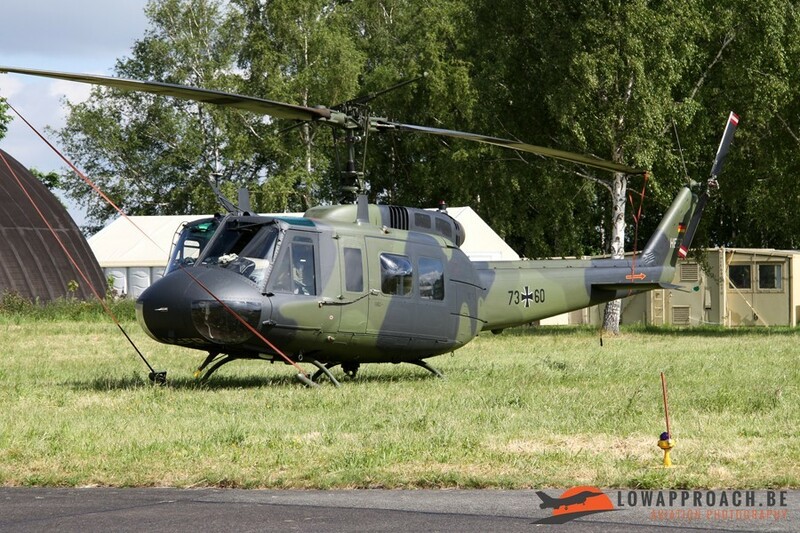 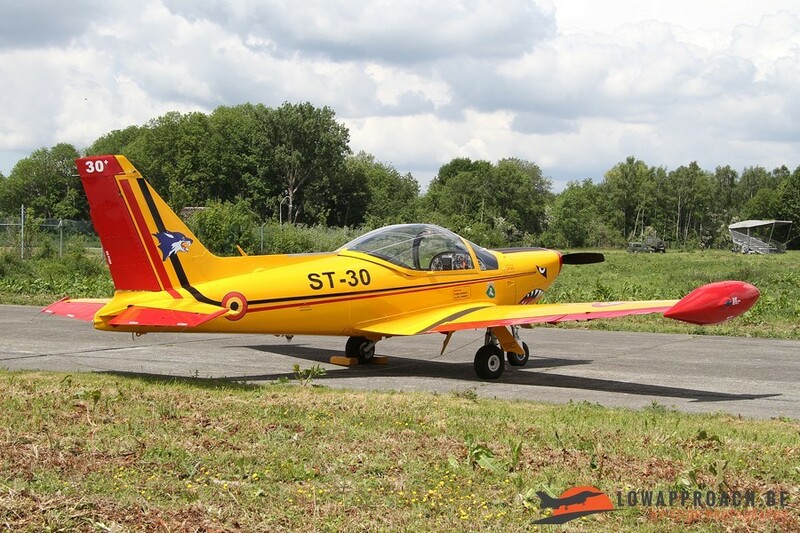 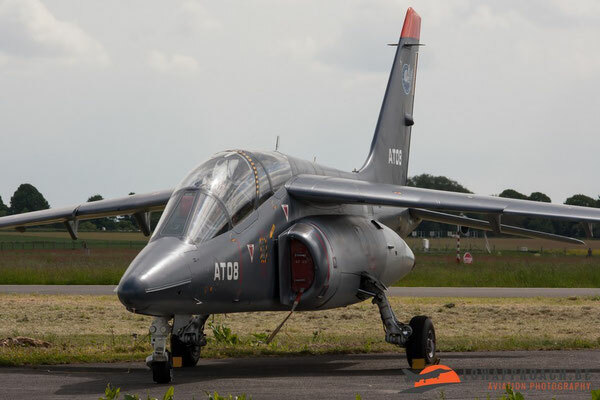 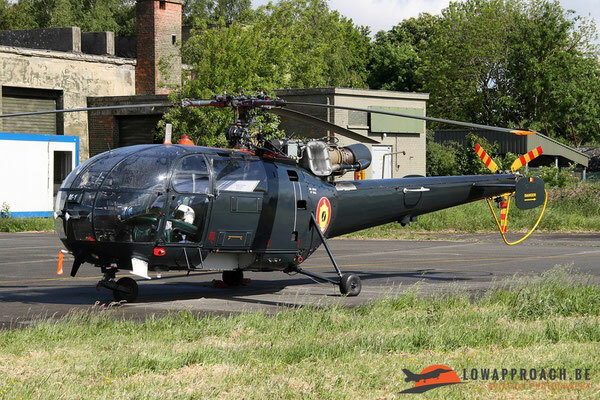 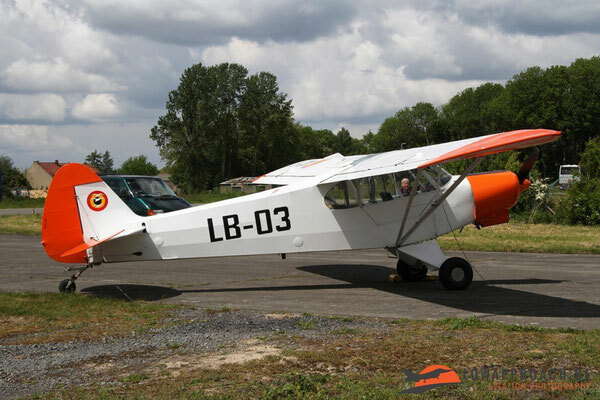 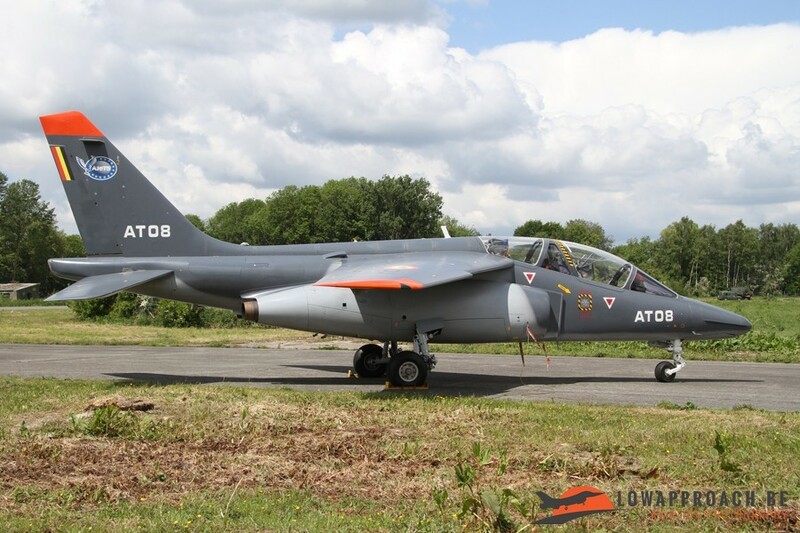 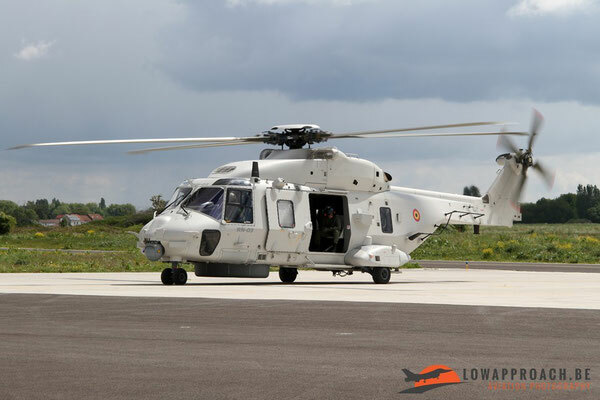 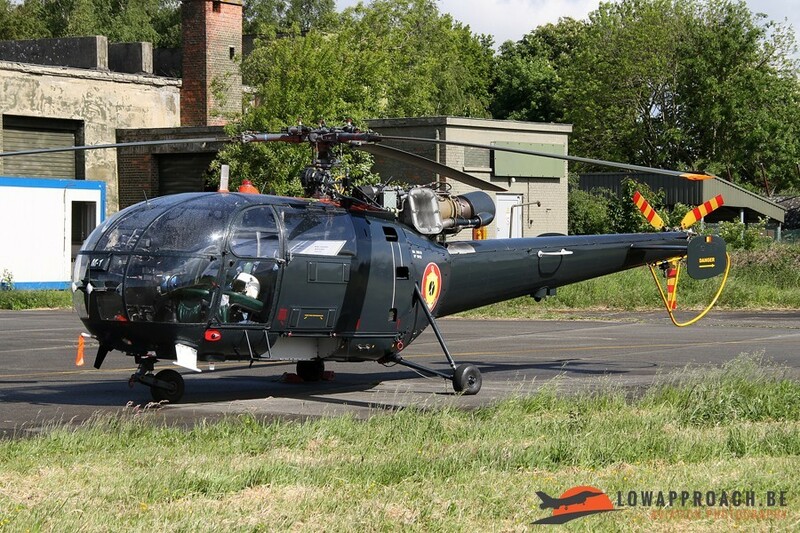 On the 20th of May the airbase organized a spottersday for the enthusiasts. 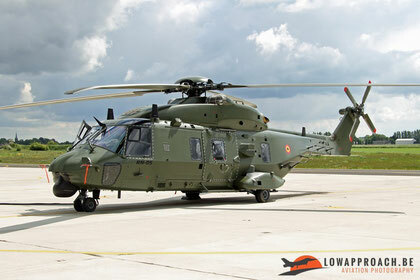 The spotters were gathered in a hangar and from there they were driven with busses to the operational side of the base. 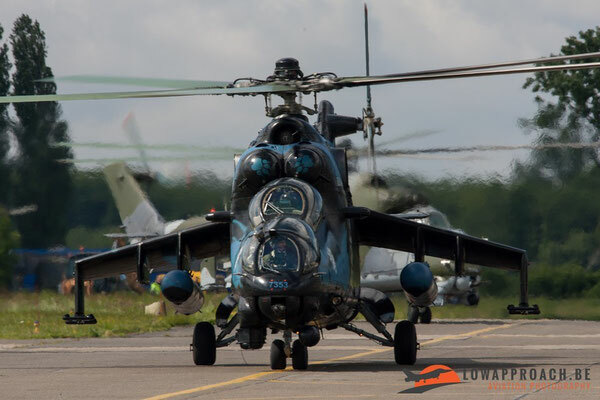 Before noon the spotters had the possibility to photograph the helicopters on the various platforms. 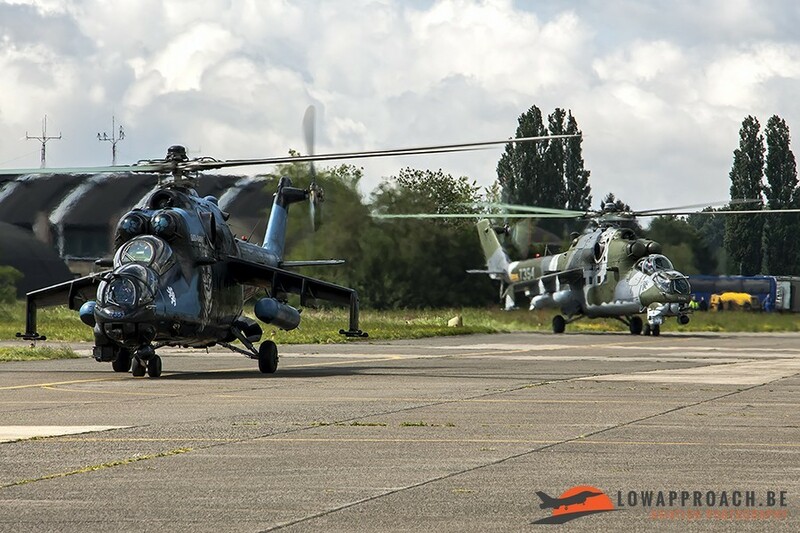 The base arranged shuttle busses which drove the enthusiasts between the various platforms that were on that side of the base. 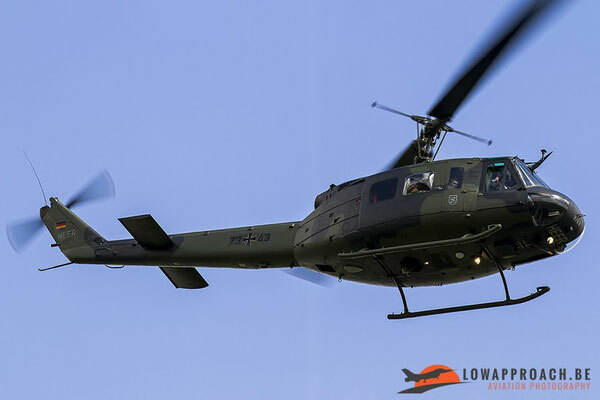 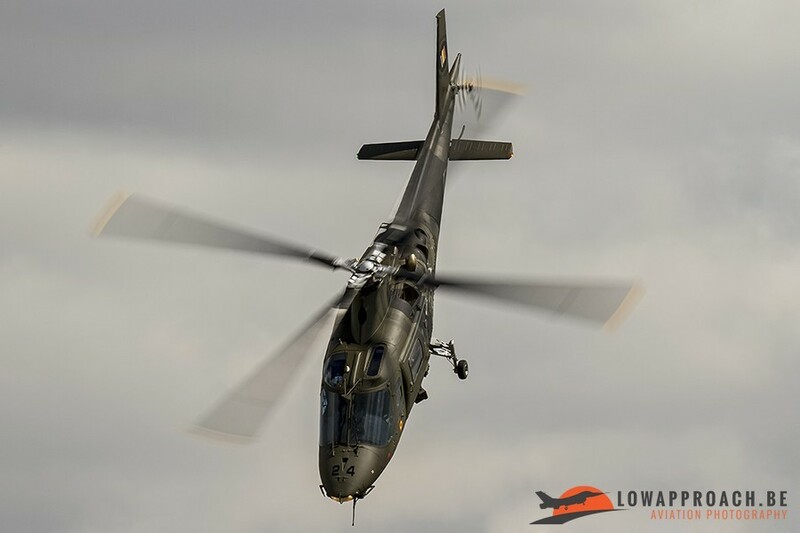 We even were lucky to catch some helicopters who were returning from their morning mission and were seen taxiing towards their parking spot and this resulted in some nice photo-opportunities. 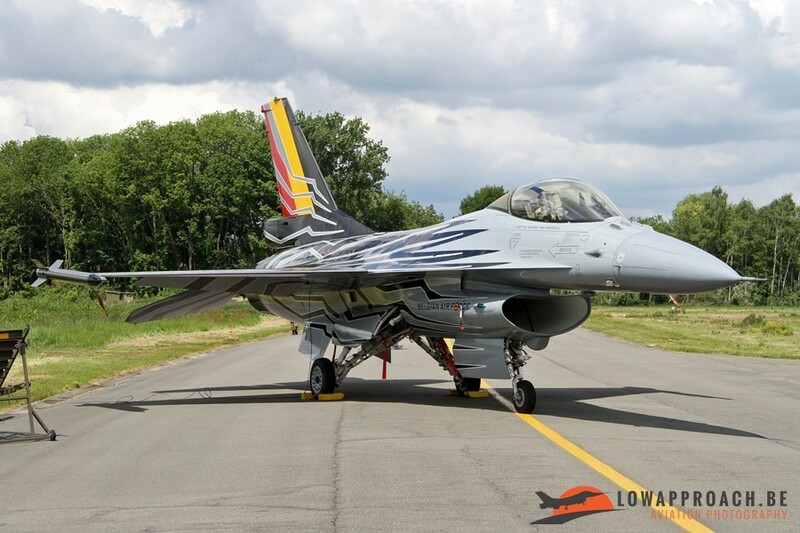 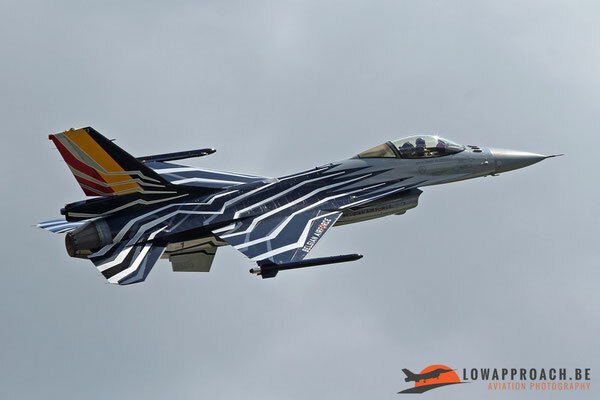 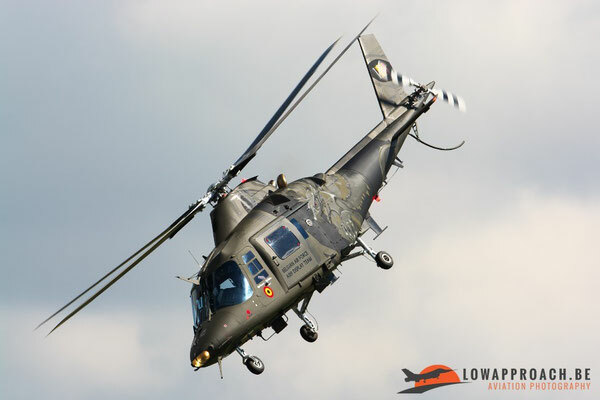 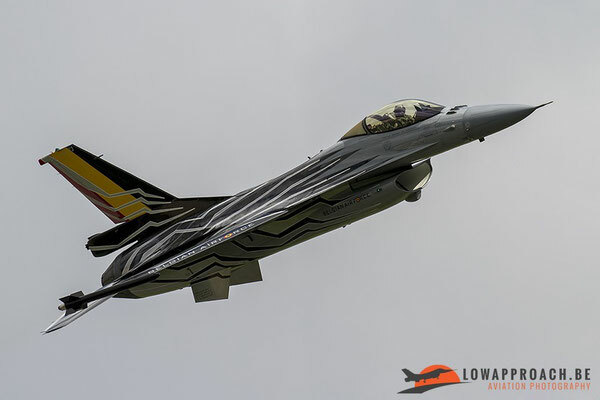 After the last choppers had landed the Belgian F-16 demo pilot performed his demo and afterwards landed at Beauvechain. 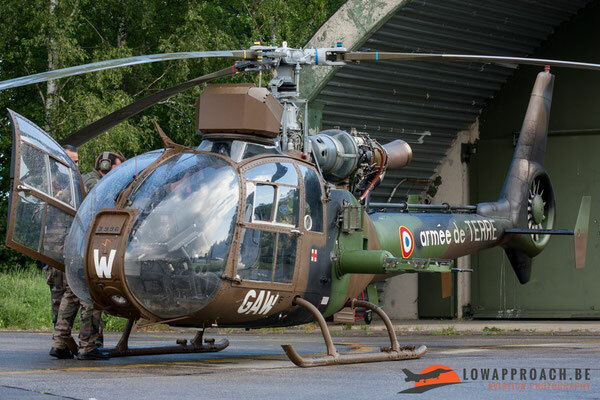 In the afternoon we were driven to another part of the base so we could picture the helicopters while they departed for their second mission that day. 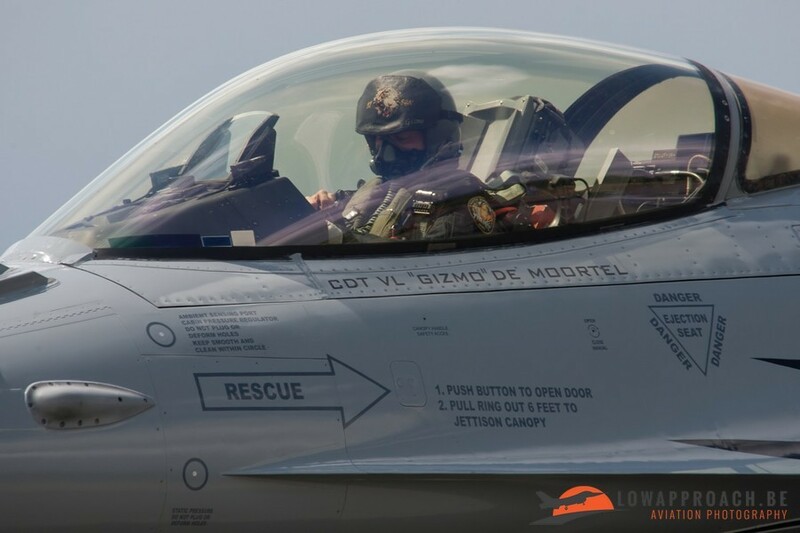 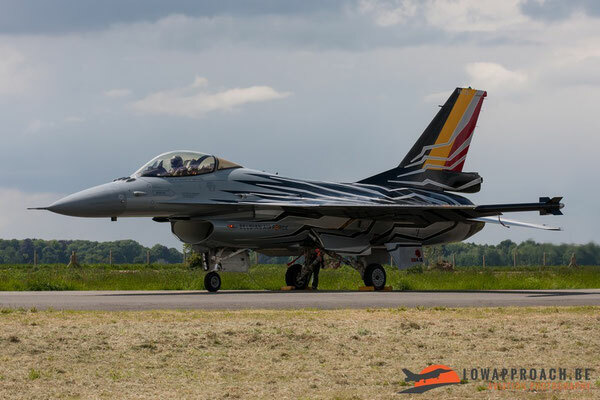 While the helicopters were on their mission we could witness the departure from the Belgian F-16 solo display and a demonstration from the Red Devils flying this year on 3 SF-260’s and the A-109 demo team was given afterwards. 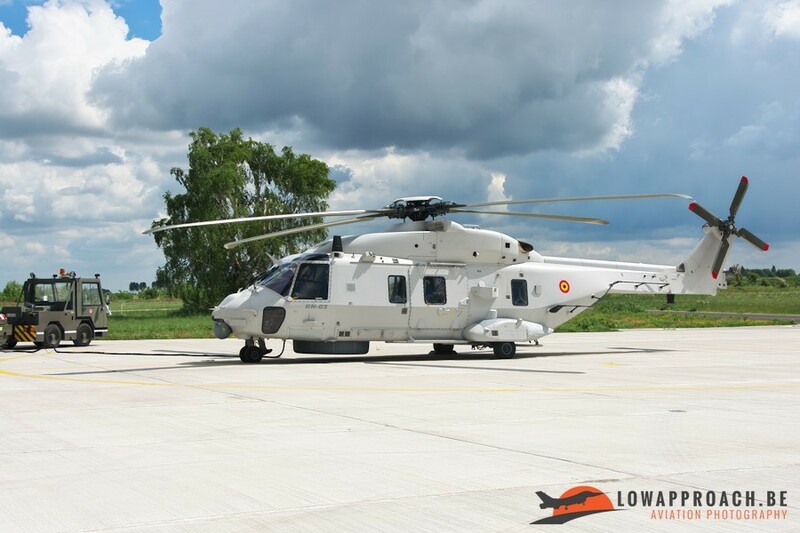 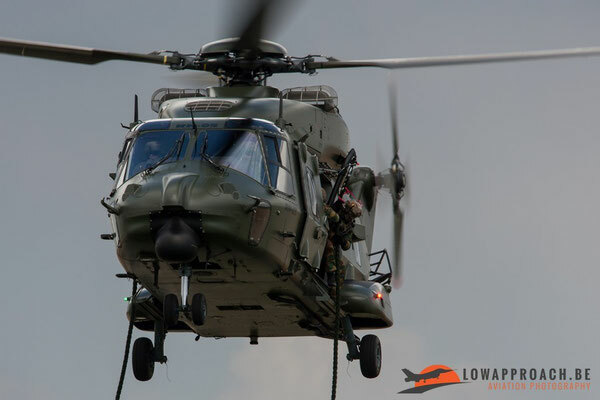 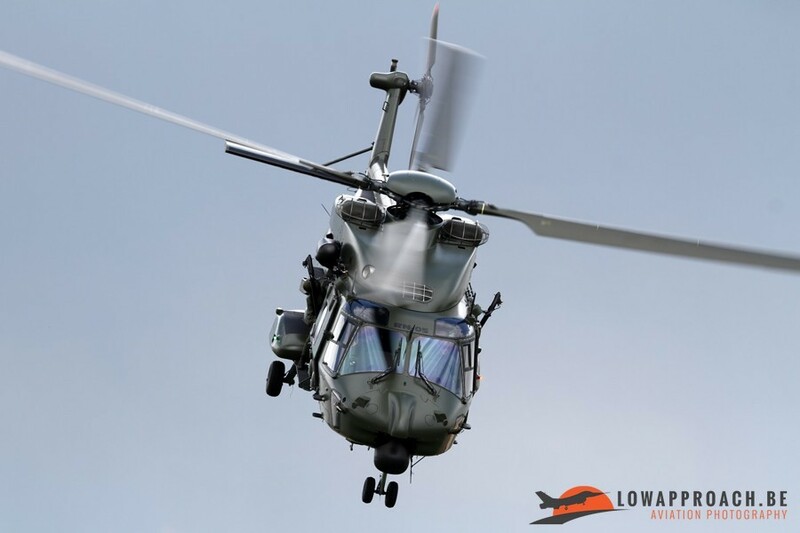 After these demonstrations 2 Belgian NH-90TTH’s took off and performed a sort of CSAR demo to demonstrate the capabilities that this new helicopter has. 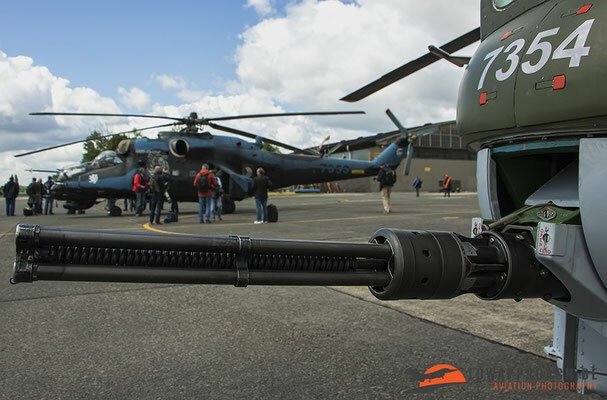 The scenario was that several people were held hostage in a house occupied by rebel forced and needed to be rescued. 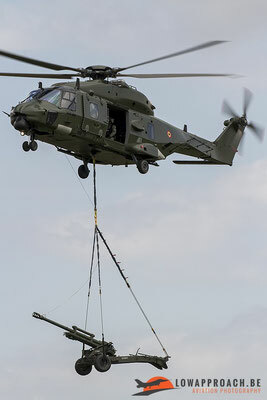 One NH-90 dropped of a number of paratroopers and shortly afterwards another NH-90 brought in a canon for more support. 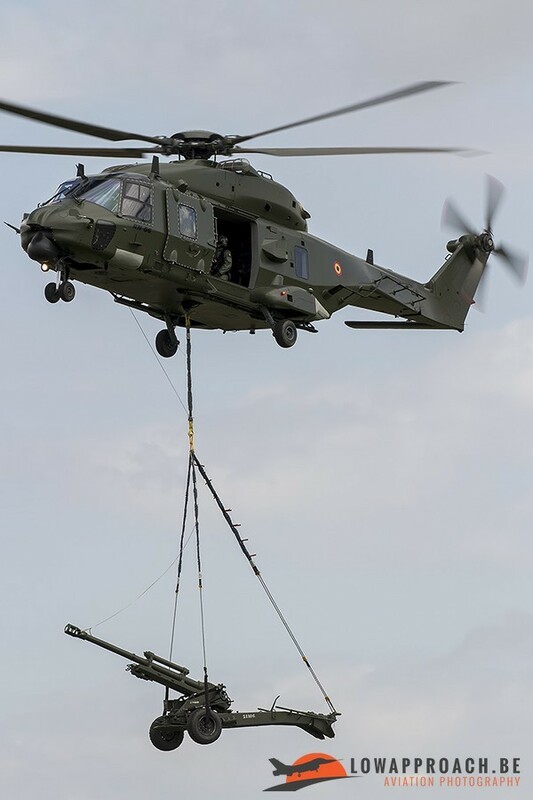 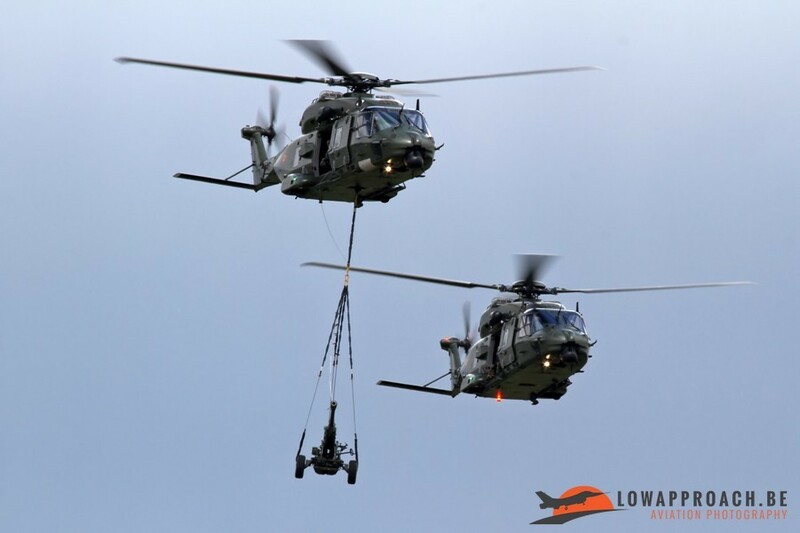 After the canon was removed the first NH-90 arrived again with troops, but this time the soldiers were exiting the helicopter with the fast-rope technique. 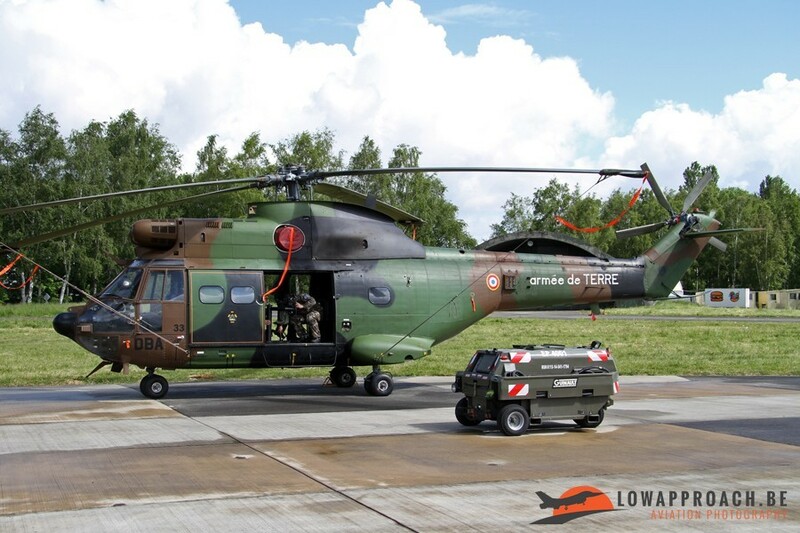 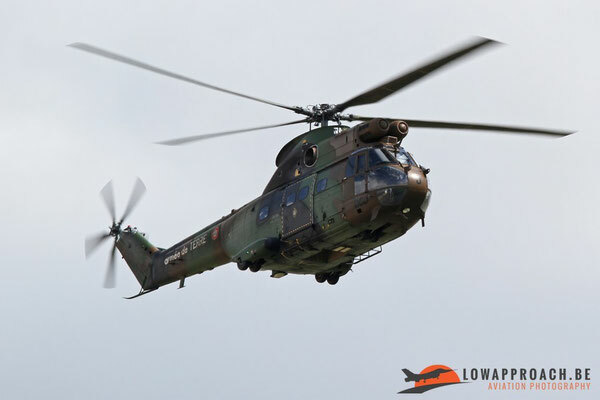 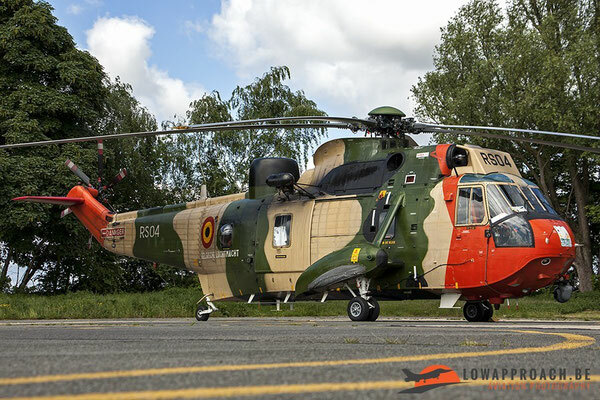 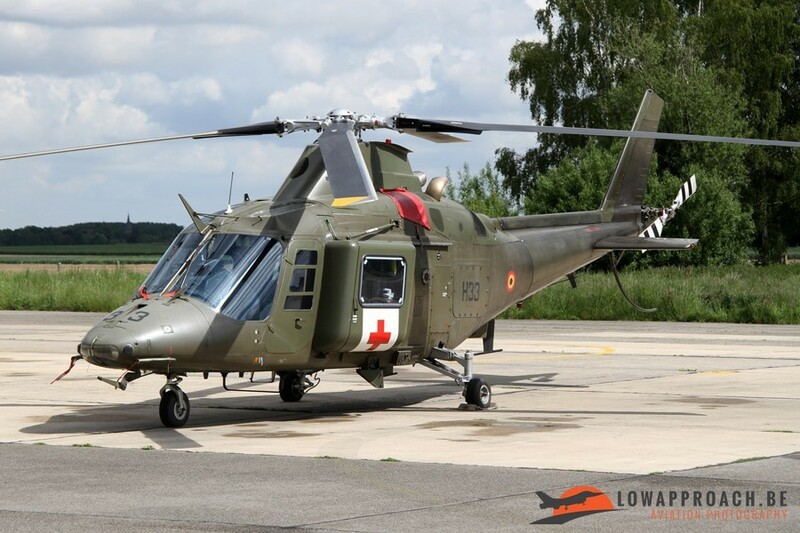 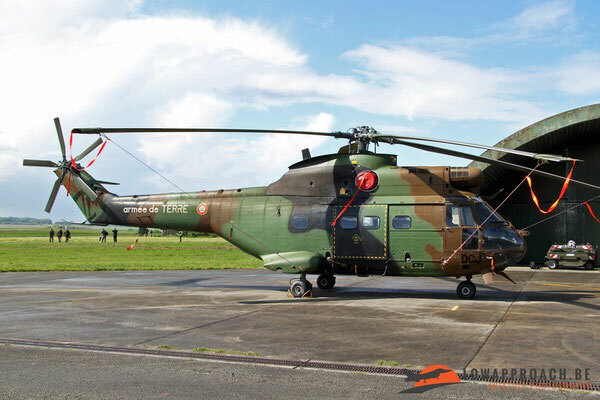 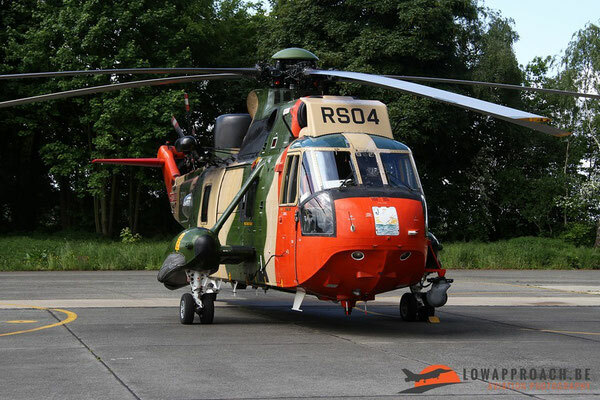 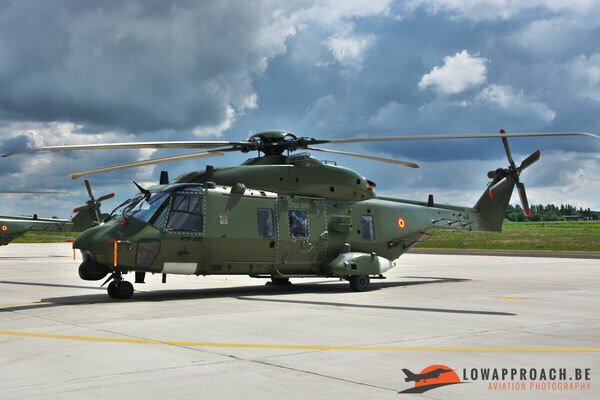 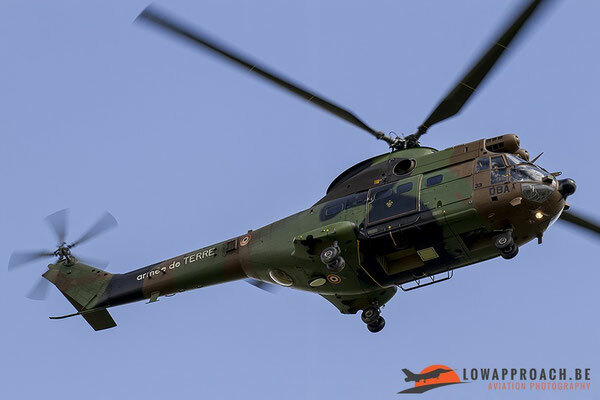 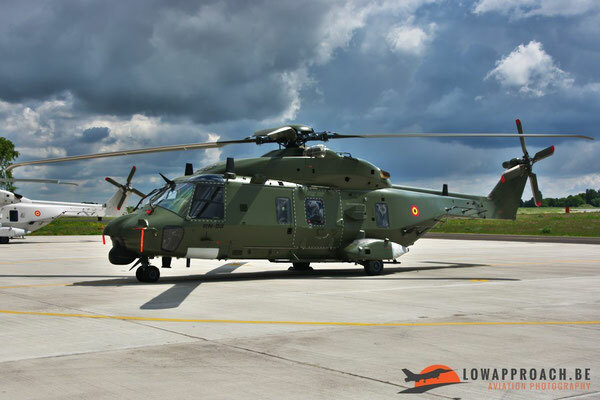 Once the soldiers had the situation under control on the ground, an NH-90 came back and winched up one of the hostages and another one came back to pick up the remaining soldiers and the canon. 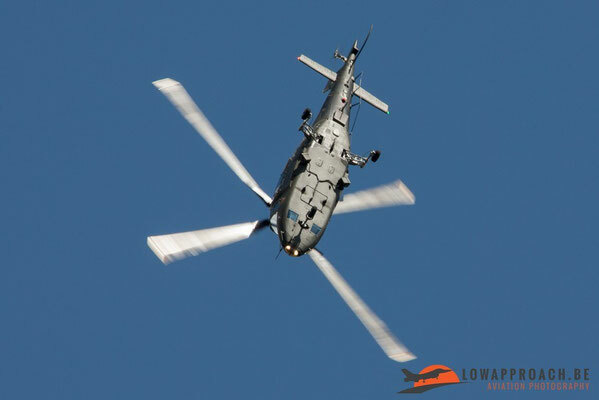 Afterwards the 2 involved NH-90 TTH’s performed a fly-past. 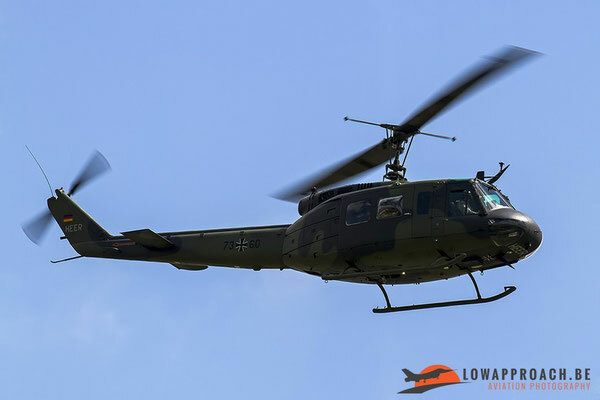 Shortly afterwards we heard the sound of numerous helicopters and in the distance we could see the silhouettes from the helicopters that were returning from their second mission. 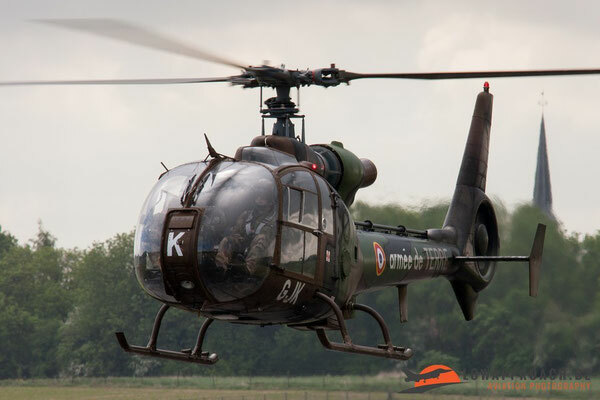 They had gathered and performed a formation fly-past for the enthusiasts. 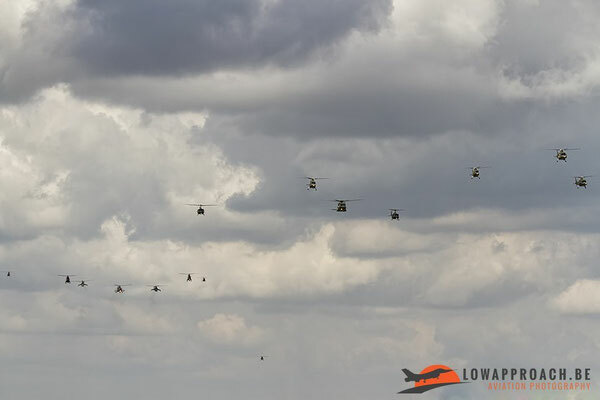 After the formation pass the helicopters broke away and landed and this also marked the end of a nicely filled spottersday.